For other uses, see Graceland (disambiguation). Graceland Farms was originally owned by Stephen C. Toof, founder of S.C. Toof & Co., the oldest commercial printing firm in Memphis, who was previously the pressroom foreman of the Memphis newspaper, the Memphis Daily Appeal. The "grounds" (before the mansion home was built in 1939) was named after Toof's daughter, Grace. She inherited the farm/grounds from her father in 1894. After her death, the property was passed down to her niece Ruth Moore, a Memphis socialite, who together with her husband, Dr. Thomas Moore, built a 10,266 square feet (953.7 m2) Colonial Revival style mansion in 1939. After Elvis Presley began his career he bought a $40,000 home for himself and his family at 1034 Audubon Drive in Memphis. As his fame grew, especially after his appearances on television, the number of fans that would congregate outside the home multiplied. Presley's neighbors, most of whom were happy to have a celebrity living nearby, soon came to find the constant gathering of fans and journalists a nuisance. After several complaints, Presley decided it was necessary for him to move to a property more suitable. In early 1957, Presley gave his parents, Vernon and Gladys Presley, a $100,000 budget, and asked them to find a "farmhouse" type property to purchase. 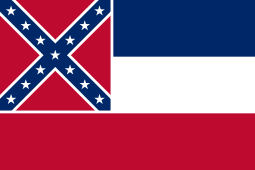 At the time, Graceland was located several miles beyond Memphis's main urban area. In later years Memphis would expand with housing, resulting in Graceland being surrounded by other properties. 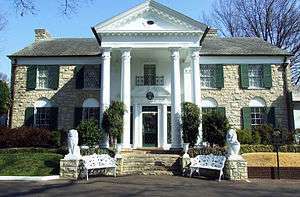 Presley purchased Graceland on March 19, 1957 for the amount of $102,500. Later that year, Presley invited Richard Williams and Buzz Cason "to get a close look at this mansion Elvis had told us about. ... We proceeded to clown around on the front porch, striking our best rock 'n' roll poses and snapping pictures with the little camera. We peeked in the not-yet-curtained windows and got a kick out of the pastel colored walls in the front rooms with shades of bright reds and purples that Elvis most certainly had picked out." Elvis was fond of claiming that the US government had mooted a visit to Graceland by Nikita Khrushchev, 'to see how in America a fellow can start out with nothing and, you know, make good'. After Gladys died in 1958, Vernon married Dee Stanley in 1960, the couple lived there for a time. 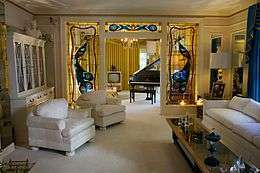 There was some discord between Elvis and his stepmother Dee at Graceland, however, and Elaine Dundy said "that Vernon had settled down with Dee where Gladys had once reigned, while Dee herself – when Elvis was away – had taken over the role of mistress of Graceland so thoroughly as to rearrange the furniture and replace the very curtains that Gladys had approved of." This was too much for the singer who still loved his deceased mother. One afternoon, "a van arrived ... and all Dee's household's goods, clothes, 'improvements,' and her own menagerie of pets, were loaded on ... while Vernon, Dee and her three children went by car to a nearby house on Hermitage until they finally settled into a house on Dolan Drive which ran alongside Elvis' estate." According to Mark Crispin Miller, Graceland became for Presley "the home of the organization that was himself, was tended by a large vague clan of Presleys and deputy Presleys, each squandering the vast gratuities which Elvis used to keep his whole world smiling." The author adds that Presley's father Vernon "had a swimming pool in his bedroom", that there "was a jukebox next to the swimming pool, containing Elvis' favorite records" and that the singer himself "would spend hours in his bedroom, watching his property on a closed-circuit television." According to the singer's cousin, Billy Smith, Presley spent the night at Graceland with Smith and his wife Jo many times: "we were all three there talking for hours about everything in the world! Sometimes he would have a bad dream and come looking for me to talk to, and he would actually fall asleep in our bed with us." Priscilla Beaulieu also lived at Graceland for five years before she and Elvis married in Las Vegas on May 1, 1967. Their daughter Lisa Marie Presley was born on February 1, 1968, and spent the first years of her life on the estate until her parents divorced in 1972, and she moved to California with her mother. Every year at Christmas time Lisa Marie Presley and all her family would go to Graceland to celebrate Christmas together. 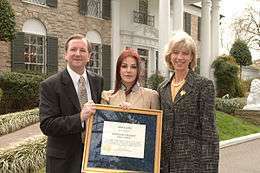 Lisa Marie Presley often goes back to Graceland for visits. When he would tour, staying in hotels, "the rooms would be remodeled in advance of his arrival, so as to make the same configurations of space as he had at home – the Graceland mansion. His furniture would arrive, and he could unwind after his performances in surroundings which were completely familiar and comforting," the room in question, 'The Jungle Room' being "an example of particularly lurid kitsch." On August 16, 1977, Presley died in his bathroom at Graceland allegedly of a heart attack. Elvis Presley lay in state in a 900-pound copper-lined coffin just inside the foyer while over 3,500 of Elvis' mourning fans passed by to pay their respects. A private funeral with 200 mourners was held on August 18, 1977 in the house, with the casket placed in front of the stained glass doorway of the music room. Graceland continued to be occupied by members of the family until the death of Elvis' aunt Delta in 1993, who had moved in at Elvis' invitation after her husband died. Elvis' daughter, Lisa Marie Presley, inherited the estate in 1993 when she turned 25. Presley, his parents Gladys & Vernon Presley, and his grandmother are buried on the property in the Meditation Garden. A memorial gravestone for Presley's stillborn twin brother, Jesse Garon, is also at the site. Graceland was listed in the National Register of Historic Places on November 7, 1991 and designated a National Historic Landmark on March 27, 2006 Graceland was the first site related to rock and roll to be entered in the National Register of Historic Places. Constructed at the top of a hill, in a grove of oaks, with rolling pastures surrounding, the house designed by Memphis architectural firm, Furbringer and Erhmanis, is a two-story, five bay residence in the Colonial Revival style with a side-facing gabled roof covered in asphalt shingles, a central two-story projecting pedimented portico, and one-story wings on its north and south sides. Attached to the wing is an additional one-story stuccoed wing that originally housed a four-car garage. There are two chimneys; one on the north exterior side wall, and a second chimney that rises through the roof ridge on the south side of house. The front and side facades of the central block are veneered with tan Tishomingo limestone from Mississippi, and its rear wall is stuccoed, as are the one-story wings. Front facade fenestration at the first floor includes 12-over-12 double-hung windows set in arched openings with wooden panels above the windows, and six-over-six double-hung windows at the second floor. Four stone steps, flanked by two large lions, ascend from the driveway to the two-story central projecting portico containing four Corinthian columns with capitals modeled after James Stuart's conjectural porticos for the "Tower of the Winds" in Athens. Its pediment has dentils and a central, small, leaded oval window. The columns at the corners of the portico are matched by pilasters on the front facade. The doorway has a broken arched pediment, full entablature, and engaged columns. Its transom and sidelights contain elaborate, colorful stained glass. Above the main entrance is a window with a shallow iron balcony. Graceland is 17,552 square feet (1,630.6 m2) and has a total of 23 rooms, including eight bedrooms and bathrooms. To the right of the Entrance Hall, through an elliptical-arched opening with classical details, is the Living Room, with the adjoining Music Room behind a doorway framed by vivid large peacocks set in stained glass. The Music Room has a black baby grand piano and a 1950s style TV. The Living Room contains a 15-foot-long (4.6 m) white sofa against the wall overlooking the front yard. To the left is a white fireplace. The painting that was Elvis' last Christmas present from his father, Vernon, hangs in this room. Also displayed are photographs of Elvis' parents Vernon and Gladys, Elvis and Lisa Marie. Adjacent to the Living Room is a bedroom that was occupied by Elvis' parents. The walls, carpet, dresser, and queen size bed are bright white with the bed draped in a velvet-looking dark purple bedspread. The bedroom also has an en-suite full bathroom done in pink. To the left of the Entrance Hall, mirroring the Living Room is the Dining Room. The room features rounded curio cabinets in the north end corners of the room, and black marble flooring in the center of the room, with carpet around the perimeter. Connected to the Dining Room is the Kitchen that was not open to the public until 1995, as Elvis' aunt Delta used it until her death in 1993. The original one-story wing on the north end of the residence includes a mechanical room, bedroom, and bath. In the mid-1960s, Presley enlarged the house to create a den known as Jungle Room which features an indoor waterfall of cut field stone on the north wall. In 1976, the Jungle Room was converted into a recording studio, where Presley recorded the bulk of his final two albums, From Elvis Presley Boulevard, Memphis, Tennessee and Moody Blue; these were his final known recordings in a studio setting. During the mid-1960s expansion of the house, Presley constructed a large wing on the south side of the main house that was a sidewalk, between the music room in the original one-story wing and the swimming pool area, that connected to the house by a small enclosed gallery. The new wing initially housed a slot car track and to store his many items of appreciation, but was later remodeled to what is now known as the Trophy Building. In the Trophy Building many walls display records, movie posters, old time memorabilia, and even a 1950s Elvis doll. Among items there are the three Grammys Elvis won, Elvis' famous gold lamé suit from his early years, Priscilla's wedding dress, Elvis' wedding tuxedo, Lisa Marie's toy chest and baby clothes and the famous hall of Elvis' gold records and awards. The Trophy Room then winds down the halls through a display of his 68 Comeback, featuring his leather suit, his personal copies of his movie scripts, costumes he wore in many of his movies and a few of his trademark jumpsuits. Also in this room are all the awards and distinctions Elvis received and a display of the many canceled checks Elvis wrote to various charities. The Entrance Hall contains a white staircase leading to the second floor of the house with a wall of reflective mirrors. The floor features Elvis' bedroom at the southwest corner that connects to his dressing room and bath room in the northwest corner. His daughter, Lisa Marie's bedroom in the northeast corner and a bedroom in the southeast corner that was Elvis' private personal office. The second floor is not open to visitors out of respect for the Presley family and partially to avoid any improper focus on the bathroom which was the site of his death. The floor has been untouched since the day Elvis died and is rarely seen by non-family members. The TV room in the basement is where Elvis often watched three television sets at once, and was within close reach of a wet bar. The TV room's west wall is painted with Elvis' 1970s logo of a lightning bolt and cloud with the initials TCB, for 'taking care of business in a flash'. The south wall has three built-in television sets, a stereo, and cabinets for Elvis' record collection. 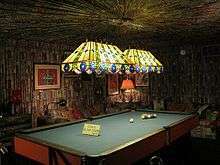 The walls and ceiling of the billiards room were covered with 350–400 yards of pleated cotton fabric after a remodel of the two rooms in the basement in 1974. After purchasing the property Presley spent in excess of $500,000 carrying out extensive modifications to suit his needs including a pink Alabama fieldstone wall surrounding the grounds that has several years' worth of graffiti from visitors, who simply refer to it as "the wall", a wrought-iron front gate, designed and built by Abe Sauer, that was shaped like a book of sheet music, with green colored musical notes and a silhouette of Elvis. Presley also installed a kidney shaped swimming pool and a racquetball court. The racquetball court is reminiscent of an old country club, furnished in dark leather and a functional bar. There is a sunken sitting area with the ever-present stereo system found throughout Graceland, as well as the dark brown upright piano upon which Elvis played for what were to be his last songs, Willie Nelson's "Blue Eyes Crying in the Rain" and The Righteous Brothers' "Unchained Melody". Reports conflict about which one was the last song. The sitting area has a floor-to-ceiling shatterproof window designed to watch the many racquetball games that took place here when Elvis was alive. In the early hours of the morning Elvis died he, his girlfriend Ginger Alden, his first cousin Billy Smith and Billy's wife Jo played a game of racquetball ending the game with the song on the piano before Elvis walked into the main house to wash his hair and go to bed. Today the two story court has been converted into displays of the majority of Elvis' stage costumes (more costumes are on display across the street in the "Sincerely Elvis" area), vinyl records, and numerous posthumous awards. Big screen TVs are scattered throughout Graceland. In the racquetball court Elvis' movies and recordings of his Las Vegas concerts play continually. One of Presley's better known modifications was the addition of the Meditation Garden, designed and built by architect Bernard Grenadier, that was used by Elvis to reflect on any problems or situations that arose during his life. It is also where he, his parents, and grandmother, Minnie Mae Hood Presley, are buried. A small stone memorializes Elvis' twin brother Jesse Garon who died at birth. Elsewhere on the estate is a small white building that served as his father's office that contains a scale model of the home where Elvis was born in Tupelo, Mississippi; an old smokehouse that housed Elvis' shooting range; and a fully functional stable of horses. After Elvis Presley's death in 1977, Vernon Presley served as executor of his estate. Upon his death in 1979, he chose Priscilla to serve as the estate executor for Elvis' only child, Lisa Marie who was only 11. 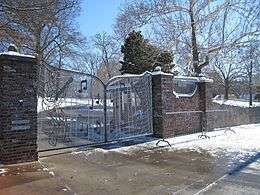 Graceland itself cost $500,000 a year in upkeep, and expenses had dwindled Elvis' and Priscilla's daughter Lisa Marie's inheritance to only $1 million. Taxes were due on the property, those and other expenses due came to over $500,000. Faced with having to sell Graceland, Priscilla examined other famous houses/museums, and hired a CEO, Jack Soden, to turn Graceland into a moneymaker. Graceland was opened to the public on June 7, 1982. Priscilla's gamble paid off, after only a month of opening Graceland's doors the estate made back all the money it had invested. Priscilla Presley became the chairwoman and president of Elvis Presley Enterprises, or EPE, stating at that time she would do so until Lisa Marie reached 21 years of age. The enterprise's fortunes soared and eventually the trust grew to be worth over $100 million. An annual procession through the estate and past Elvis' grave is held on the anniversary of his death. Known as Elvis Week, it includes a full schedule of speakers and events, including the only Elvis Mass at St. Paul's Church, the highlight for many Elvis fans of all faiths, and for many years, an Elvis Art exhibit in Graceland Plaza, where fans honored Elvis with creative artworks. (see Larry Keeter, "Elvis Art." Elvis International Forum, January 2005). The 20th Anniversary in 1997 had several hundred media groups from around the world that were present resulting in the event gaining its greatest media publicity. The largest gathering assembled on the 25th anniversary in 2002 with one estimate of 40,000 people in attendance, despite the heavy rain. For many of the hundreds of thousands of people who visit Graceland each year, the visit takes on a quasi-religious perspective. They may plan for years to journey to the home of the ‘King’ of rock and roll. On site, headphones narrate the salient events of Elvis’s life and introduce the relics that adorn the rooms and corridors. The rhetorical mode is hagiographic, celebrating the life of an extraordinary man, emphasizing his generosity, his kindness and good fellowship, how he was at once a poor boy who made good, an extraordinary musical talent, a sinner and substance abuser, and a religious man devoted to the Gospel and its music. At the meditation garden, containing Elvis’s grave, some visitors pray, kneel, or quietly sing one of Elvis’s favorite hymns. The brick wall that encloses the mansion's grounds is covered with graffiti that express an admiration for the singer as well as petitions for help and thanks for favors granted. The Graceland grounds include a museum across the street from the mansion, containing many Elvis artifacts, like some of his famous Vegas jumpsuits, awards, gold records, and Elvis' extensive auto collection which includes Elvis' Pink Cadillac. Recently Sirius Satellite Radio installed an all-Elvis Presley channel on the grounds. The service's subscribers all over North America can hear Presley's music from Graceland around the clock. Two new attractions have been added, Private Presley and the `68 Special exhibits; these can be found across the street on the plaza. Not far away his two planes Lisa Marie (a Convair 880) and Hound Dog II (a Lockheed JetStar) are on display. The jets are owned by an outside entity which gets a share of the ticket income, but as of 2014 a dispute means that the planes are listed for sale. In early August 2005, Lisa Marie Presley sold 85% of the business side of her father's estate. She kept the Graceland property itself, as well as the bulk of the possessions found therein, and she turned over the management of Graceland to CKX, Inc., an entertainment company (on whose board of directors Priscilla Presley sits) that also owns 19 Entertainment, creator of the American Idol TV show. In February 2006, CKX Chairman Bob Sillerman announced plans to turn Graceland into an international tourist destination on a par with the Disney or Universal theme parks, sprucing up the area mansion and doubling or possibly tripling the 600,000 annual visitors to around 2 million a year. 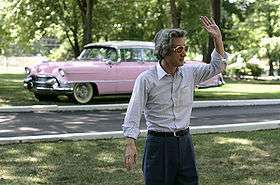 Sillerman’s goal is to enhance the "total fan experience" at Graceland to compel visitors to spend more time and money. The company is working with Bob Weis, the recently named new CEO of Disney Imagineering based in Orlando, Florida, to improve the tourist area around Graceland, which is located in an economically depressed area of Memphis, while keeping intact the historic home. Graceland officials envision a 3-mile (4.8 km) strip of Elvis Presley Boulevard transformed into a beautiful entertainment district from East Brooks RD all the way down to East Shelby Drive. EPE has bought up over 120 acres (0.49 km2) of land both commercial and residential around the mansion both north and south, everything from apartment complexes, car dealership, a souvenir shop and even some houses in the area to make way for the expansion. Visitor numbers peaked at around 700,000, but by 2005, they had reportedly declined to around 600,000 due to the rough surrounding neighborhood. Sillerman, who has been speaking with investors and developers, plans to spend between $250 million to $500 million on redeveloping the area surrounding Graceland. Among his plans are a new luxury hotel of more than 500 rooms and a convention center, an amphitheater for live concerts, restaurants and retail, plus a new 80,000-square-foot (7,400 m2) visitor's center and museum adjacent to the Graceland mansion. 2009 was set as the target date to begin work on the project but first it has to be approved by the Memphis City Council. In July 2014, Elvis fans were made aware of a letter that was received by the owners of the Lisa Marie and Hound Dog II. In this letter the CEO of Elvis Presley Enterprises said that the company would be exercising its right to end the agreement which has kept the jets at Graceland since the mid-1980s. EPE said that OKC should plan to remove the jets on or shortly after April 2015. In response to critical comments from fans Priscilla Presley posted on Facebook for fans to "please calm down," and that announcements would be coming soon about new and exciting additions to the Graceland property. However, she did not directly address whether the planes would be removed. Paul Simon visited Graceland in the early 80s and afterwards wrote a song which became the title track of his hit album Graceland. On August 6, 2010, Prince Albert II, the Principality of Monaco's Head of State, and his fiancée Charlene Wittstock, on a vacation tour of the United States, also toured Graceland. Albert explained: "If you're on a summer holiday, you've got to come at this time of year. I've always wanted to come to Graceland. Charlene and my friends wanted to be here today for this visit, Elvis touched our lives as well and the lives of so many people. 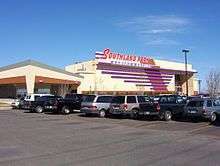 We wanted to pay our respects and see what this place was all about." On May 26, 2013, Sir Paul McCartney visited Graceland, and left a guitar pick on Elvis's grave, and said, "so Elvis can play in heaven." Prince William and Prince Harry, while in Memphis for a friend's wedding, visited Graceland on May 2, 2014. They were joined by their cousins Princess Beatrice and Princess Eugenie for a private tour of the estate. After the tour, a staff member was quoted as saying, "It is pretty special to have a future king take time to come visit The King". The home has also been visited by HRH the Princess of Yugoslavia, former President Jimmy Carter, the sitting Ambassadors of India, China, Korea and Israel to the United States, as well as several Governors, members of the US Congress and at least one Nobel Peace Prize winner, the former President of Costa Rica, Oscar Arias, who visited it on 10 October 2001. See link below for a complete list. The title of Paul Simon's album Graceland as well as its title track were inspired by Elvis' home, the latter describing Graceland as a holy place through its lyrics. The song won the Grammy Award for Record of the Year in 1987. The song "Walking in Memphis" by Marc Cohn features Graceland prominently; in the second verse, he references Graceland and the Jungle Room. This song was later covered by Cher and Lonestar among others. The film 3000 Miles to Graceland is about a group of criminals who plan to rob a casino during an international Elvis week, and to make it easier, they are all disguised as Elvis impersonators. The film Finding Graceland starring Harvey Keitel with Johnathon Schaech, as Keitel being an impersonator who claims to be the actual real Elvis after Schaech picks him up as a hitch-hiker trying to get a ride to Memphis. While touring across the United States, the band members in the rock music "mockumentary" This Is Spinal Tap gather around Elvis Presley's grave at Graceland and sing a verse of "Heartbreak Hotel" a cappella in three-part harmony. Graceland was one of the tourist stops for the fan bus in Depeche Mode 101. The fans expressed severe disinterest in visiting the location, calling it "boring." On the commentary track in the 2003 DVD re-release, Martin Gore expresses disappointment at this, citing Elvis Presley as one of his musical influences. Presley's gold record for "Jailhouse Rock"
↑ West, Carroll Van (1995). 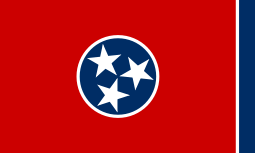 Tennessees Historic Landscapes: Travelers Guide. University of Tennessee Press. p. 32. ISBN 9780870498817. 1 2 "Graceland". National Historic Landmark summary listing. National Park Service. Retrieved 2008-10-04. ↑ Victor, Adam (2008). The Elvis Encyclopedia. Gerald Duckworth & Co Ltd. p. 208. ISBN 978-0-7156-3816-3. ↑ Marling, Karal Ann (1996). Graceland: Going Home With Elvis. Harvard University Press. p. 137. ISBN 9780674358898. 1 2 3 Flippo, Chet (1993). Graceland: Living Legacy of Elvis Presley. Mitchell Beazley. p. 29. ISBN 978-1-85732-255-2. 1 2 3 Victor, Adam (2008). The Elvis Encyclopedia. Gerald Duckworth & Co Ltd. pp. 205–209. ISBN 978-0-7156-3816-3. 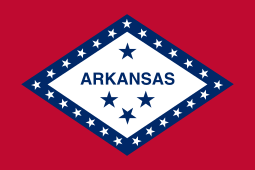 ↑ "Elvis Presley puts a down payment on Graceland". History. Retrieved 20 Jan 2015. ↑ Buzz Cason, Living the Rock 'N' Roll Dream: The Adventures of Buzz Cason (2004), p.47. ↑ John Harris, "Talking about Graceland". The Guardian, March 27, 2006. ↑ Elaine Dundy, Elvis and Gladys (2004), p.329-330. ↑ Mark Crispin Miller, Boxed in: The Culture of TV (Northwestern University Press, 1988), p.192. ↑ Billy Smith interview Part Two." Elvis Information Network. ↑ See Tracy McVeigh, "Love me tender", The Observer, August 11, 2002. ↑ Andrew Ballantyne, "The Nest and the Pillar of Fire." In What Is Architecture? (2002), p.24. ↑ Blanchard, Tamsin (August 11, 2002). Elvis has left the building. The Guardian. ↑ Scripps Howard News Service (November 12, 1991). 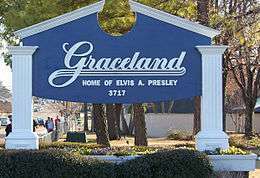 "Graceland is put on National Register". Reading Eagle. Retrieved 2010-03-01. ↑ Elevation and capital detail in Stuart, The Antiquities of Athens, London 1762. ↑ "Elvis Presley's Graceland : 3764 Elvis Presley Boulevard". Elvis Australia. Retrieved 20 Jan 2015. ↑ Moore, June (November 6, 1998). "Graceland Mansion". ↑ Peter Guralnick, Careless Love: The Unmaking of Elvis Presley (1999), p.651-652. ↑ Bachor, Ken (2012). "Johnny and Linda Visit the Jungle Room at Graceland – Too Tough to Die: Exclusive Photos From Johnny Ramone's Memoir | SPIN | Music News". SPIN. Retrieved 2014-08-11. ↑ Brad Olsen, Sacred Places North America: 108 Destinations, p.281. ↑ Daniel Wright, Dear Elvis: Graffiti from Graceland (1996), p.16. ↑ See Linda Kay Davidson and David Gitlitz ‘’Pilgrimage, from the Ganges to Graceland: an Encyclopedia’’ (Santa Barbara: ABC-CLIO, 2002). ↑ Hale, Ashley. 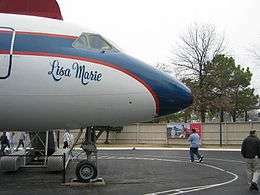 "Sale Of 'Lisa Marie', 'Hound Dog II' Causing Consternation Among Elvis Fans" Aero-News Network, September 3, 2014. Accessed: September 3, 2014. ↑ "Elvis' old planes may be leaving Graceland". 2 July 2014. Retrieved 20 July 2014. ↑ "Priscilla Presley to Elvis fans 'calm down' Las Vegas Review-Journal". 8 July 2014. Retrieved 20 July 2014. 1 2 "Prince Albert's Elvis visit". www.femalefirst.co.uk. Retrieved 7 August 2010. ↑ Vincent, Alice (28 May 2013). "Paul McCartney pays respects to Elvis during Graceland visit". The Daily Telegraph. Retrieved 17 August 2013. 1 2 3 "Prince William, Prince Harry Visit Graceland to Pay Tribute to Elvis". Elvis Australia. Retrieved 7 June 2014. Davidson, Linda Kay and David Gitlitz "Pilgrimage, from the Ganges to Graceland: an Encyclopedia" (Santa Barbara: ABC-CLIO, 2002). Engel, Matthew. "Still stuck on Elvis, fans exalt the King". The Guardian (London), August 17, 2002, p. 1. Marling, Karal Ann. "Graceland: Going Home with Elvis." Cambridge: Harvard University Press, 1997. Wikimedia Commons has media related to Graceland.